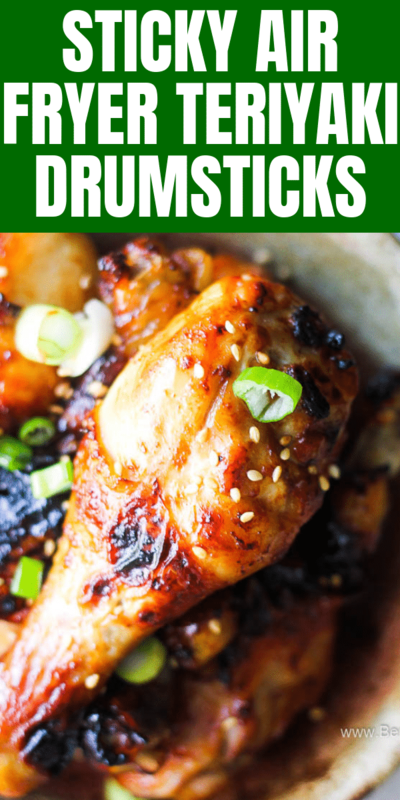 Amazing teriyaki chicken drumsticks dinner or it also could be a party appetizer! Easy to make, healthy, beginners and kids friendly. 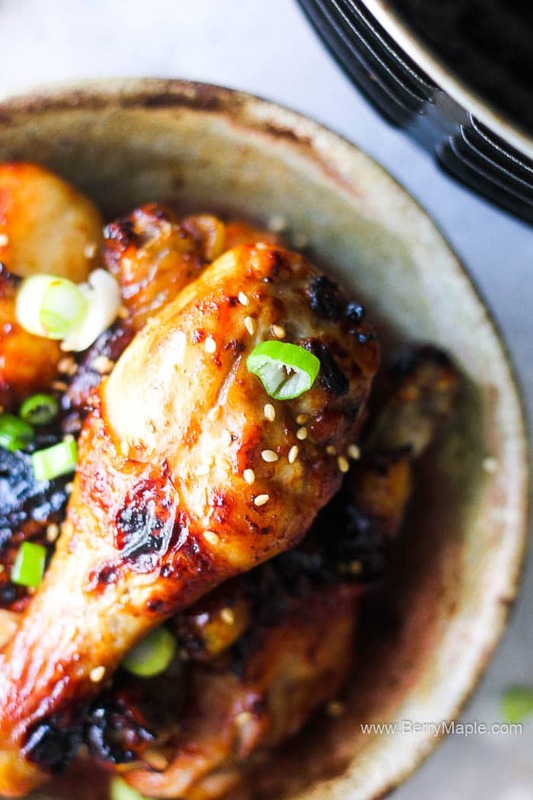 This sticky drumsticks marinated in thick sauce could be easily substituted to thighs, wings or even breast. 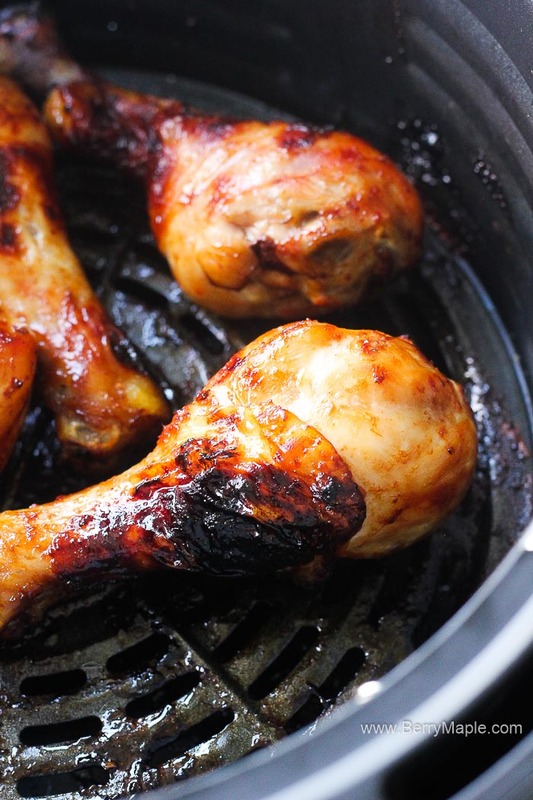 So, how do you cook chicken drumsticks in the air fryer? 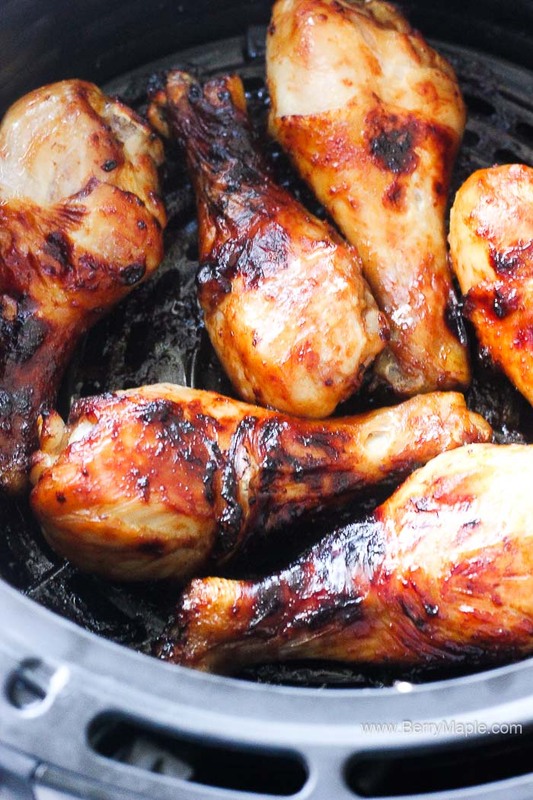 Marinade your chicken drumsticks in your favorite sauce or just add some spices, olive oil and mix well. Cook in preheated air fryer basket for 20 minutes. Dont forget to shake the basket a few times to allow the chicken to cook evenly. Serve as is, over rice or with the salad. Also You can serve it with the dipping sauce! I tried to cook Air fryer whole chicken and Air fryer chicken wings and everything turned out delicious too. Air fryer is just make to cook all kind of chicken in it! Directions: Mix all listed above ingredients in a small sauce pan and simmer until the sugar is dissolved. Dont boil. 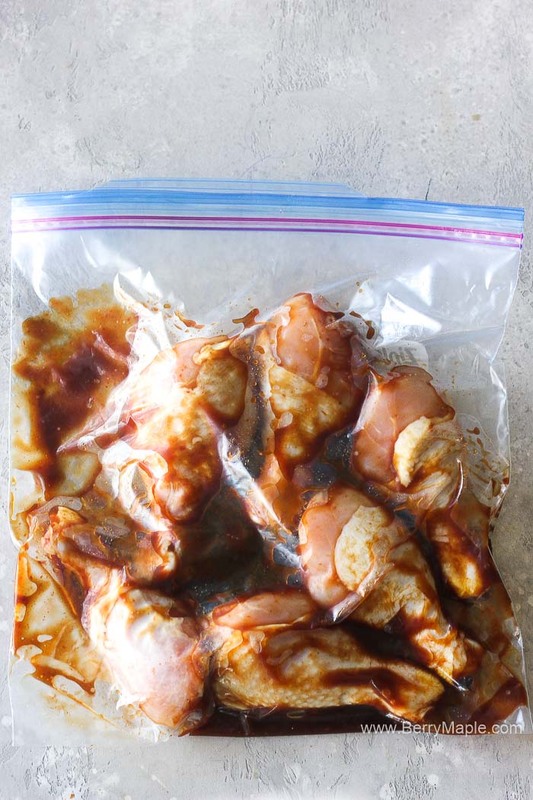 Once the sauce is cool, add it to the Ziploc bag with your preferred chicken parts( i used drumstick in this recipe). 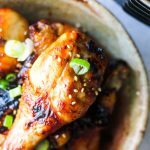 Ok, so this Air fryer teriyaki chicken drumsticks were amazing! Juicy inside and sticky and flavorful on the outside. If you wonder how to wash the air fryer from the sticky sauce, dont worry! Just soak in warm water with soap for a little bit and then scrub it with a sponge. It should come out easily! To add an extra Asian look ( in addition to teriyaki sauce) i added some white sesame seeds on top and some chopped green onions! It made the dish look so pretty! 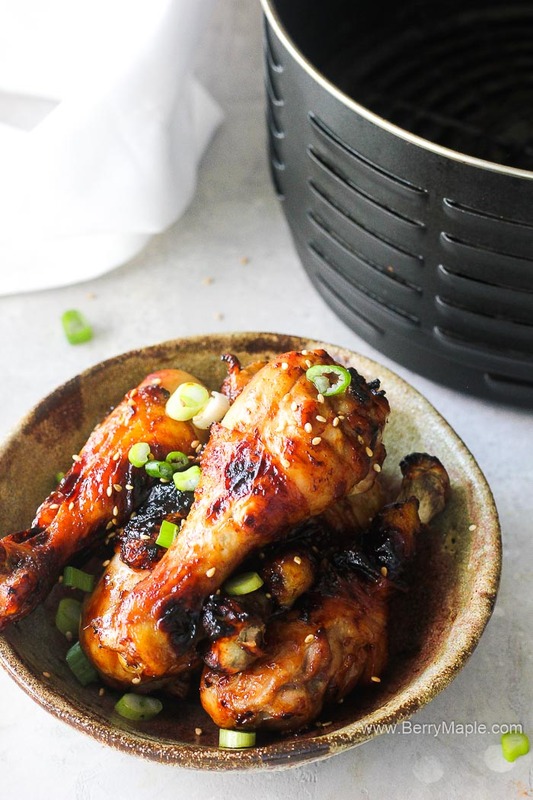 You can cook more of this drumsticks, just make sure not to overcrowd the air fryer basket. Hope you will like the recipe. Ask me any question in comments! Preheat air fryer to 360 degrees. 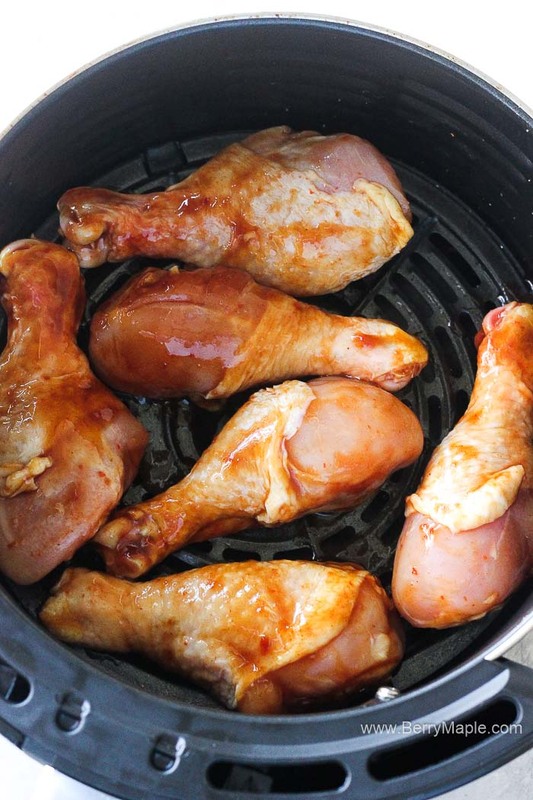 Place drumsticks in one layer in the air fryer basket and cook for 20 minutes. Shake the basket couple times through cooking.